"Wow. I hardly know what to say. Your analysis was incredible!" "Your knowledge and interpretations are very inspiring!" "Incredibly insightful in-depth interpretation." "Bravo Ms. Wagaman!....Thank you for having this service." "WOW!!!!!! All I can say is WOW!!!!!" "I have been working with someone...but your work goes to another level." "Such an in-depth and fascinating look at my dream." "Great analysis! Right on target!" "Thank you so very much...my mind can rest now." Click to get a professional dream interpretation. Dreams can be powerful sources of life-changing information if we pay attention to their meanings. Dream interpretation and analysis of dream symbols offer glimpses of yourself and your life that you might never see otherwise. Because dreams are as individual as each person, dream interpretation demands a well-developed intuition to understand dream meanings and analyze hidden messages. Nancy Wagaman, M.A., is an intuitive consultant who offers dream interpretation by phone and email. Using focused intuition, Nancy can help you follow the path of your dream to the deepest corners of your subconscious to discover who you are and what makes you tick. She can help you understand important dream symbols, themes, messages and how your dream meaning points to dynamics in your life that need attention. For more about Nancy, click here click here. 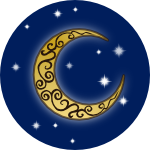 This site is dedicated to understanding dreams and their meanings. 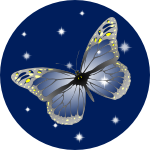 Get a professional dream interpretation, and read how they are helping dreamers. Click to order. Take advantage of our dream interpretation tools, including Dream Dictionary and Dream Analyzer. Also, explore dream interpretation and recall tips in Interpreting your Dreams, Increasing Dream Recall, Determining Dream Type and Developing Dream Intuition. Dreams are a window into your subconscious mind and any information flowing into or out of it. A dream can convey feelings, thoughts, ideas, desires and other psychological factors that may lie buried when you're awake. Dreams are also said to convey information from outside of yourself, such as spiritual guidance, premonitions, and interactions with loved ones who have passed on.